Watch Dan Doh!! 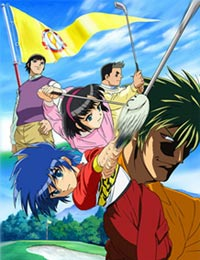 full episodes online English Dub. Synopsis: Dandoh was playing a baseball game with friends Yuka and Kohei and hits a wild fly ball which crashes into the principal’s potted plants. Rather than getting mad, the principal admires Dandoh’s swing and introduces him to the world of golf. It’s now an adventure in golf as Dandoh is under the watchful eye of a former pro-golfer. They enter a tournament together and play for a shot at the national championships.